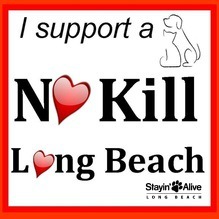 These are printable pdfs of our flyers and photos that can be used to spread the word about the No Kill Equation in Long Beach. Sign and send a Sample Letter to the Mayor and City Council (print out, sign and send to your city council member). Long Beach City Council contact information can be found here and at the bottom of this page. Better yet, organize a letter-writing campaign with your friends. Print out copies of the above letter, get together with your animal-loving friends, hand out copies of the letter and ask them to add their own handwritten note to it before sending it off. 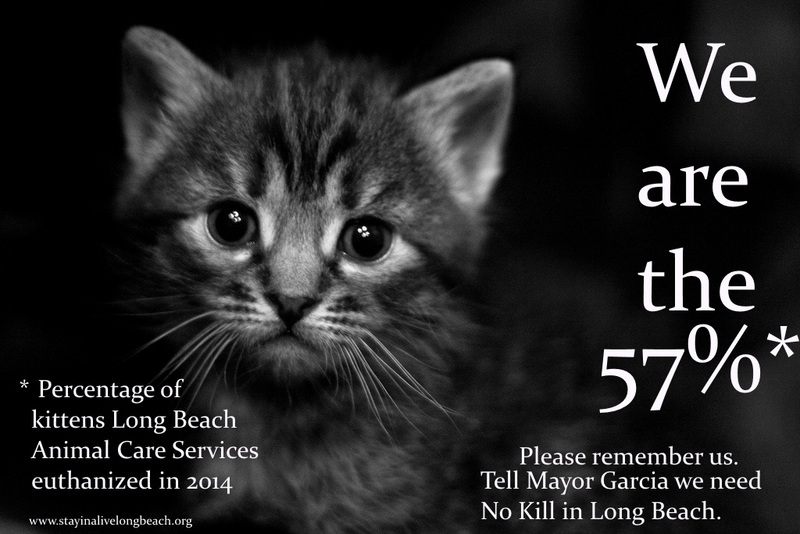 Post these pictures on your Facebook page: "We are the 57%" kitten photo "I support a No Kill LB" photo. NOTE: This photo is owned by Stayin' Alive Long Beach and may only be used with the "Stayin' Alive" logo affixed. Unauthorized modification of this logo constitutes theft, and copyright violations will be pursued to the full extent of the law. Click here for phone numbers and other contact information.